Royal Norfolk Show, Norwich, June 26 & 27 www.royalnorfolkshow.rnaa.org.uk NEW LOCATION on Corner of President’s Avenue and 1st Drive, Stand 184 near the Countryside Area. We are asking our previous customers if they would be willing to email us any photos they might have of their furniture purchase, so that we could use them on our website. 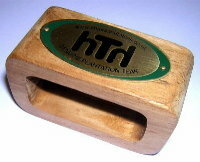 For any photos we use we will in return send them a set of 6 beautifully crafted teak napkin rings free of charge.